Carla Creates: Weekend Retreat in Canmore Alberta! Weekend Retreat in Canmore Alberta! 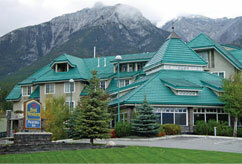 Registration began on Saturday for my upcoming weekend retreat in Canmore (Nov 30 - Dec 2, 2012) . . . and the emails were flying fast & furious for our regulars to get their names in! But lucky for you - - we have SEVEN spots left!! Interested in joining us?!?! Be sure to check out my EVENTS BLOG for all the details & then get your registration email in to me before these spots are gone!